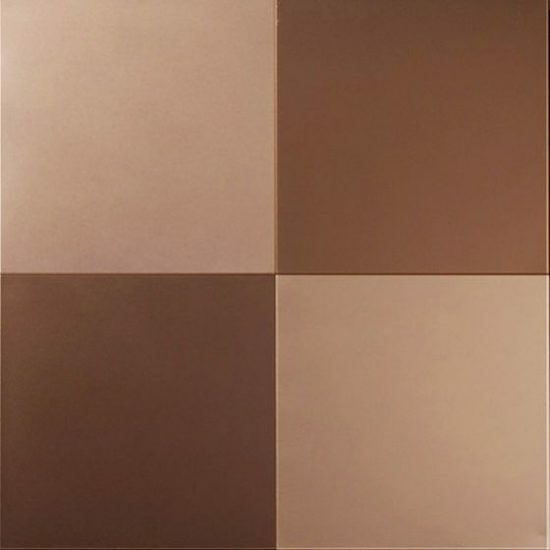 Actual size: 200mm x 200mm (7.874″ x 7.874″)Mosaic w/ 4 pieces. Each with #4 brushed finish arranged in a checkerboard pattern. This item is designed to bring you our classic 4 x 4 checkerboard pattern; now as a combination tile to make installation cleaner and easier. We are especially excited to offer you this product from a world class company; DSP, Ltd. These tiles are crafted with unparalleled innovation and brilliant engineering. We are proud to bring you true stainless steel tiles with options for color, mosaic, and surface coatings. 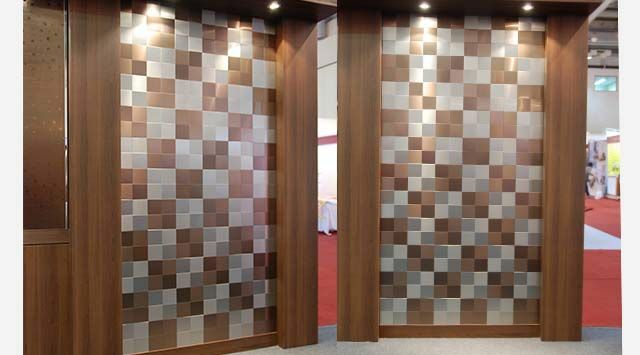 Made with 300 series stainless steel, the tile and backer makes a durable and long lasting architectural element for your home or business. The quality and consistency of every tile will make installations faster, easier, and stress free. Stainless steel offers a modern look and feel at a surprisingly affordable price. These tiles feature a nano ceramic coating that makes the tile actively ant-bacterial. Made by our friends and allies in South Korea.